We're getting into it REAL fast in Season 4 of David Tuchman's brand-new translation of the Hebrew Bible. This time around, Guest Ariana Katz reads about: Some remaining jobs, Extremely bad relationship advice! What to do if you hate shaving and grapes! Check out Ariana's podcast&nbsp;Kaddish while you wait for more OMGWTFBIBLE. 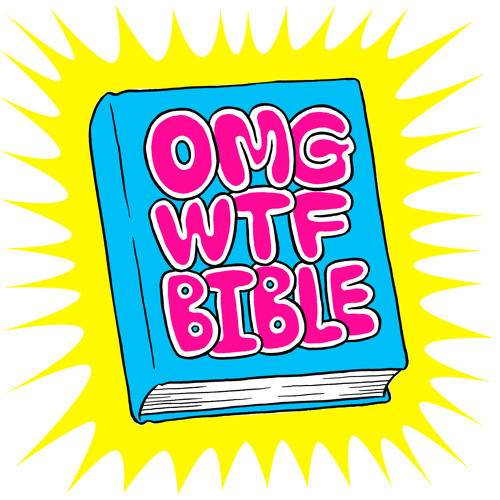 Follow OMGWTFBIBLE on&nbsp;Twitter,&nbsp;Facebook, and&nbsp;Instagram.&nbsp;Also, REVIEW THE SHOW!